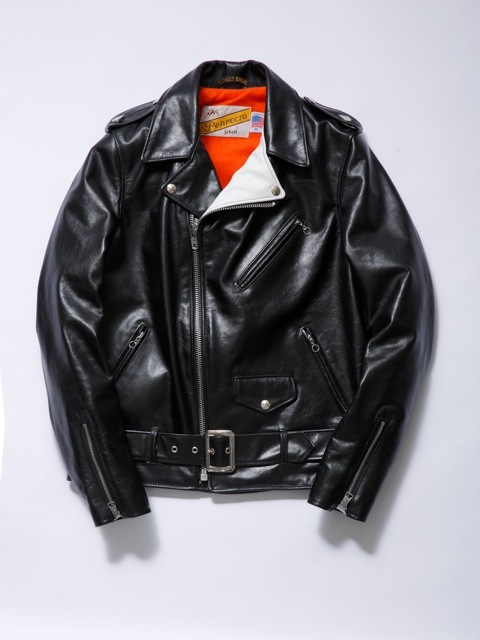 Volcom and Schott have teamed up to announce the YAE Riders Jacket. Schott is celebrating their 100th year anniversary and what better way than to celebrate with this latest creation by the two companies. Metal Volcom stone studs in place of the traditional one star epaulets on the shoulders, custom white leather collars and sleeve gussets and a hand screened Anarchy A logo on a custom orange cotton flannel lining all makeup this piece. Limited to 200 units these are available now directly from Volcom now.